We are delighted to announce that our micro-hydropower energy recovery demonstration site at Blackstairs Group Water Scheme will hold an official opening on 2nd May, 2019. The second annual Dwr Uisce conference will be hosted by Trinity College Dublin in Ireland. The theme of this year's conference is 'Water–Energy Innovation' and it aims to address the challenges we face in relation to water and energy demands in our region. The programme will be divided into three sessions: "Innovation Opportunities", "Innovation Practice" and "Demonstrating Learning". The event will feature a variety of guest speakers from industry, HEI and government sectors in Ireland and Wales. We will also offer the opportunity for attendees to present two-minutes pitches of their water-energy related business or research. Places are limited and offered on a first-come basis. We encourage participation of PhD researchers, start up companies and water/energy businesses. Venue: Trinity College Dublin Trinity Biomedical Sciences Institute - 2nd Floor Trinity College Dublin, 152 - 160 Pearse St, Dublin 2 Dublin, Ireland Map here: https://goo.gl/maps/PeNZFDW8v852. 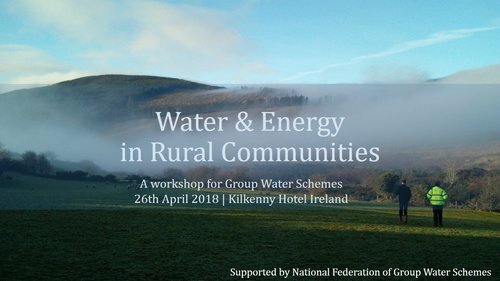 The Dŵr Uisce team in Ireland is collaborating with the National Federation of Group Water Schemes in organising the workshop "Water and Energy in rural communities" in Kilkenny (Hotel Kilkenny) on April 26 next. Dŵr Uisce stands for 'Distributing our Water Resources: Utilising Integrated, Smart and low-Carbon Energy'. It is led by a team made up of researchers from Trinity College Dublin and Bangor University in Wales. The team has extensive experience in energy technology, environmental impact assessments, climate change and business collaboration. The project runs until September 2021, and is supported through the Ireland-Wales Co-operation Programme 2014-2020. Over the past year, the team has visited a number of GWS sites around the country and will include some observations from this work in the workshop. The Energy from Water Exposition demonstrated the multidisciplinary nature of research in the area of energy, the links between energy recovery and water production, the benefits for consumers and society, and the management implications for networks of organisations producing and using water. The Exposition featured short interactive presentations discussing our technologies - an opportunity to visit the laboratory and interaction with water industry practitioners. We displayed posters from the three projects in the Demo Room in the Civil Engineering. We presented on storyboard posters of the three projects, with the common theme of reducing the energy intensity of the water production and use through energy recovery (turbines and heat recovery) systems. In the presentation venue, members of the Trinity research team will deliver short talks each hour and present posters related to the story of the project. We will host guided visits to the laboratory, demonstrating the current experimental designs of the technologies we are developing for on-site testing and demonstration as part of these projects. Talks were followed by games and all our researchers interacted with participants, introducing and answering questions in their areas of expertise. The College Green Campus Committee is supportive of this proposal. This workshop aims to deliver a focused programme that highlights energy-saving and energy-generating opportunities associated with water use in key water-using sectors. 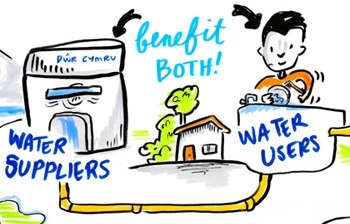 We will showcase technological and service solutions to help businesses in Wales to become more sustainable in a future where water and energy costs continue to rise. The first annual Dwr Uisce Conference will be hosted by Bangor University in Wales. The theme of this year's conference aims to address the challenges we face in relation to water and energy demands in our region. The event will include guest speakers on technical, social and governance perspectives on the importance of valuing our water and energy resources, and discuss how we can ensure water and energy security in the future. 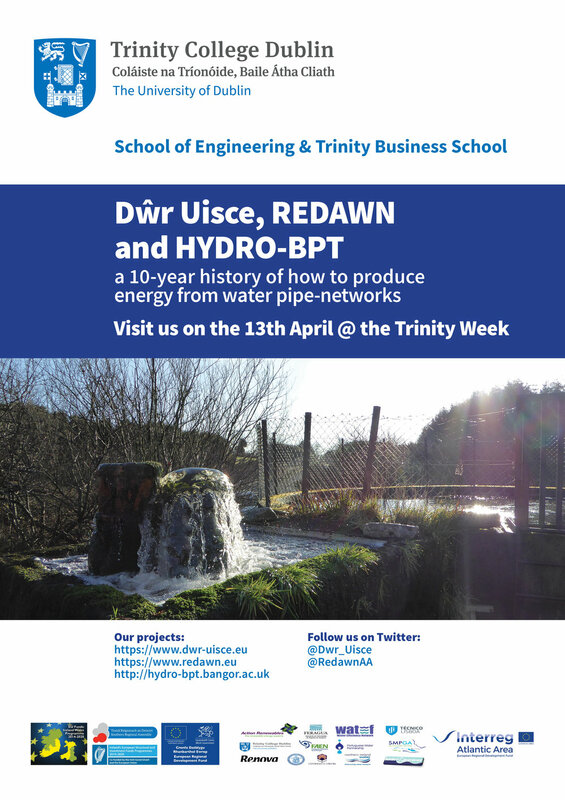 The Dwr Uisce kick-off meeting will present the planned work for this project, through researcher, demonstration and networking. This five-year, multidisciplinary project between Trinity College Dublin and Bangor University will help deliver solutions for a more energy efficient water sector. 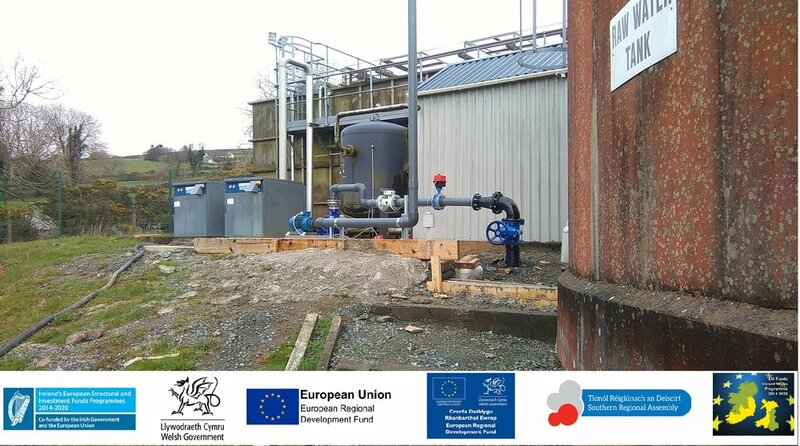 The Dŵr Uisce project is part funded by the European Regional Development Fund (ERDF) through the Ireland Wales Co-operation programme 2014-2020.